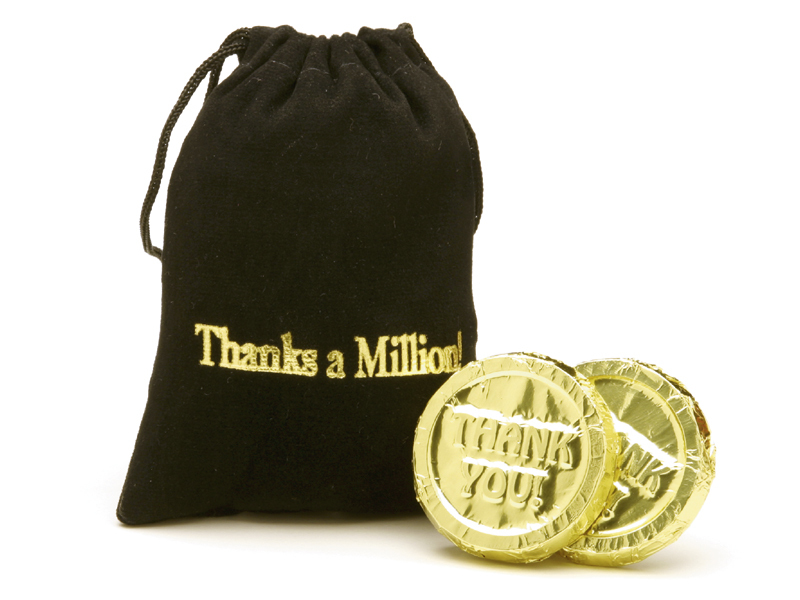 Our black velour "Thanks A Million" bag contains 10 "Thank You" Belgian milk chocolate coins. The gold hotstamped bag compliments our attractive gold foiled milk chocolate coins. It sells in Cases of 20 Bags.